My "role" in this looks simple - only to compile mods...easy as 1-2-3? No!!! It's really hard work! Beside compiling existing mods, I modified them too or created my own minor modifications for RealGTA3. It all started when I downloaded my first GTA3 mod. After few weeks I had many mods and I decided to create some kind of modpack - just for fun and for some friends. It worked and I was having fun with it, so I decided to start to work really hard and to provide my mod for every GTA3 fan;). On January 31, 2003 I released the first public version of RealGTA3 - I was amazed that people loved my mod:-). I tweaked it a little bit by adding some new cars and fixing problems - that was the version 1.1, which stayed online util May 24, 2003. 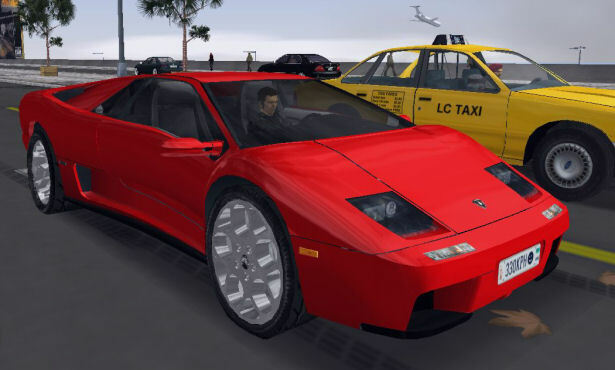 That was the day when the new, final, last, bugless and perfect version of RealGTA3 came out after 9 months of development. All I dreamt about is in it, so don't wait and go to download section! Maybe you wanna know how I created RealGTA3: I used this: Internet Explorer 6 to download that huge amount of mods;), TXD Tool + IMG Tool + GXT Tool + GTA3ResHack + Collision Map editor + Notepad for editing game files, Paint Shop Pro for editing/creating textures, Winamp for background music:-), Notepad to make this website. Tomáš Doupal - My brother was the one and only in-house tester I had:-). He finished whole RGTA in one day and he gave me some ideas to improve RealGTA3. The_pest, Ceo Ceed, Vice City mod team, KillerKip, Stephan Pomper, Barend Botha, Tomáš+Romeo+Barbara+Lukáš Doupal, Zdeněk Polách, Karel Fajkus, Jindra Jelínek, Beautka, Škreko + many thousand satisfied people who gave me the proof that RealGTA3 was worth to create!!! (aka Péťa Doupik) - It is impossible to remember all the stuff I have made for RealGTA3, I just did everything what's not on this list.